Friday Funny: Impact of 'sea smell' overestimated by present climate models | Watts Up With That? From the LEIBNIZ INSTITUTE FOR TROPOSPHERIC RESEARCH (TROPOS) and the “sea smell by the seashore” department. Leipzig. The formation of sulfur dioxide from the oxidation of dimethyl sulfide (DMS) and, thus, of cooling clouds over the oceans seems to be overvalued in current climate models. This concludes scientists from the Leibniz Institute for Tropospheric Research (TROPOS) from a model study on the effects of DMS on atmospheric chemistry. Until now, models considering only the oxidation in the gas phase describe merely the oxidation pathway and neglect important pathways in the aqueous phase of the atmosphere, writes the team in the journal PNAS. This publication contains until now the most comprehensive mechanistic study on the multiphase oxidation of this compound. The results have shown that in order to improve the understanding of the atmospheric chemistry and its climate effects over the oceans, a more detailed knowledge about the multiphase oxidation of DMS and its oxidation products is necessary. Furthermore, it is also needed to increase the accuracy of climate prediction. Dimethyl sulfide (DMS) is formed by microorganisms and is, for example, also part of human breath odor. However, it is more pleasant to remember as the typical smell of the sea. DMS represents the most common natural sulfur compound emitted to the atmosphere. 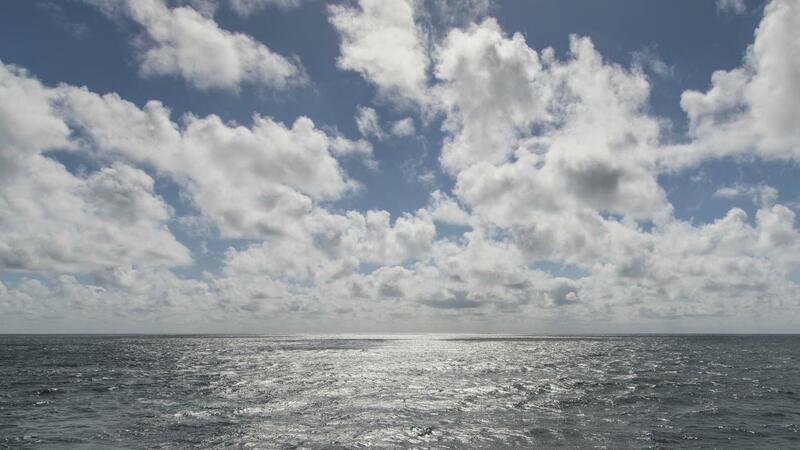 Major contributors are oceans, which make up around 70 % of Earth’s surface. DMS is formed by phytoplankton and then released from the seawater. In the atmosphere, DMS oxidizes to sulfuric acid (H2SO4) via dimethyl sulfoxide (DMSO) and sulfur dioxide (SO2). Sulfuric acid can form new cloud nuclei, from which new cloud droplets can emerge. Hence, marine clouds will be visually brightened, which influences the radiative effect of clouds and thus Earth’s climate. Therefore, the understanding and quantification of these chemical processes in the atmosphere is of high importance for the knowledge of the natural climate effect. The oxidation process of DMS has already been investigated in various model studies – albeit without accurate considered aqueous-phase chemistry. In order to close these mechanistic gaps, scientists of TROPOS have developed a comprehensive multiphase chemical mechanism (“Chemical Aqueous Phase Radical Mechanism DMS Module 1.0”). This mechanism was coupled to a comprehensive gas-phase (MCMv3.2) and aqueous-phase mechanism (CAPRAM) and applied with the SPACCIM model. 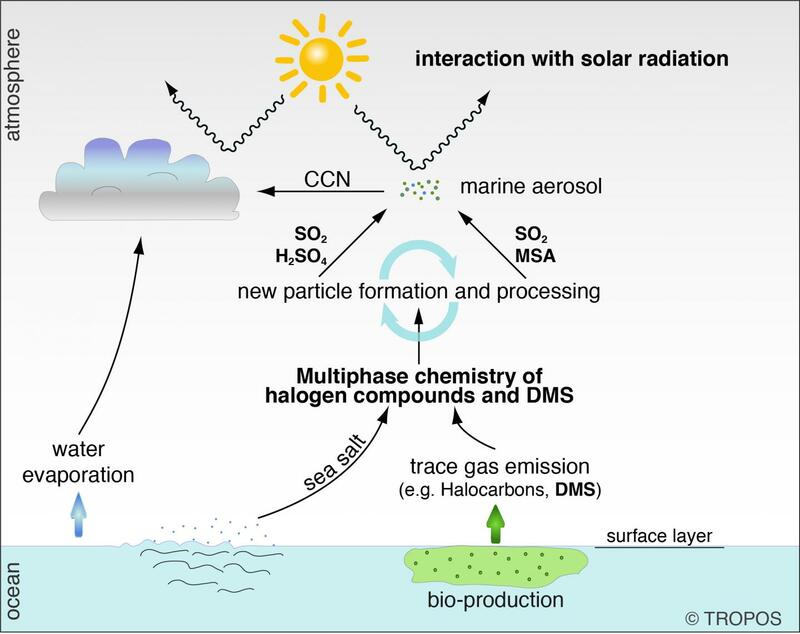 The SPACCIM model was developed at TROPOS and is, due to the detailed and combined description of microphysical and chemical processes in aerosols and clouds, particularly suitable for complex studies on atmospheric multiphase processes. As most important outcome, the new model results showed that: “The processes in the aqueous phase significantly reduce the amount of sulfur dioxide and increase the amount of methanesulfonic acid (MSA). In earlier models, there was a gap between the projected values in the model and measurements. Now, the scientists have been able to clarify this contradiction and thus confirm the importance of the aqueous phase for the atmospheric oxidation of dimethyl sulfide and its products such as MSA”, reports Dr. Andreas Tilgner of TROPOS. November 4, 2016 in Climate Models, Oceans. Yet am=nother proposed Geo-Engineering project. Don’t you mean in his vain attempt to impose Socialism on the entire planet? I would say vain attempt to control it. I don’t think the left believes in socialism so much as an end, but as means to an end – it’s control they want. Something else the IPCC models do not account for properly? It does seem modeling climate was rather presumptuous given knowledge of basic mechanics of weather and the atmosphere and oceans in general. They knew what the answer was going in. So long as the models could be made to match that, then all was good. When did the days where people doing studies went out into the field and actually measured what they were studying, come to an end? When they decided that data was biased and computer model output was the only accurate way of measuring the real world. Science or Fiction — also know as “We know we are here but we are a bit uncertain where here is”! Perhaps because the possible concentration of DMS is so low as to be below the detection limit! Reduced sulfur gases, of which DMS is one, are the foulest smelling substances commonly encountered. The detection limit by the nose is in the parts per billion or lower range and it is nearly always as a foul smell. If the concentration of some (e.g. H2S) starts off very low beneath the smell detection limit and is slowly increased the gas may anaesthetise the nasal receptors and prevent the smell being detected. This could explain why DMS is the characteristic smell of the sea, the concentration is below nasal detection limit. Diatoms typically produce less DMS than e.g. coccolithophores. Anything which favours the growth of diatoms over phytoplankton like coccolithophores will reduce the amount of DMS over the ocean. This will lead to fewer clouds. This will warm the surface. Diatoms fix carbon via a process which does not discriminate [as much] against the heavier isotopes of carbon. 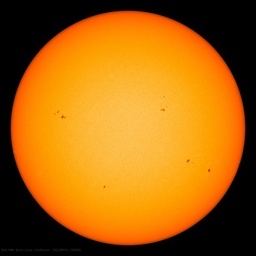 This will remove relatively more C13/14 from the atmosphere. However, diatoms are not very good at exporting carbon to the deep ocean, so they will leave more CO2 in the atmosphere. The greater amount of CO2 in the atmosphere will therefore have a ‘light CO2’ signal which mimics the isotopic signal of burnt fossil fuel. Anything which favours the growth of diatoms will lead to two false ‘fossil fuel burning’ signals, more CO2 in the atmosphere and relatively more C12.. The initial phytoplankton bloom in spring is largely diatoms because the oceans then contain a relative abundance of silica, and, when they have access to silica, diatoms out-compete calcareous phytoplankton species. Only when the diatoms have exhausted the dissolved silica can the calcareous phytoplankton species flourish. So, what has changed that might lead to higher levels of dissolved silica in the oceans? Large scale industrial farming might do it. Wankerpedia? Wrong? How could this be? I’m shocked, shocked, I tell you. Pure fiction – if you ask me! She smells sea shells by the sea shore? Words escape me, except for FFS. You cannot model something you do not understand. And you cannot understand from modeling. Away from the computer and into the chem lab to analyze ocean air samples? No. Thatnwoild be real science, not climate science. Most of these guys are computer modellers, probably wouldn’t know one end of a test tube from another. They just had to go and ruin the study by tacking “climate change” onto it. What happened to studying something for the sake of studying it? If they didn’t tact on “climate change” they wouldn’t get funding. Leave the oceans alone Alarmists! This is part of Svensmark theory. He also says this doesn’t happen at night, but in the daylight when UV light is required to promote the reactions. You mean the science isn’t settled? Oh, fudge. No doubt this is an incremental step towards (maybe, one day, if Moore’s law doesn’t break down) creating climate models that actually work. One would have thought that a bit of lab work might help too. Even more important, actual measurements of DMS production from the oceans as it varies through space time etc., would have REALLY helped. Of course, using real-world data can be hazardous; it might not get you the results you want, whereas models can always be tweaked in the desired direction… Am I being too cynical? On an unrelated and utterly irrelevant note. My eyes lit up when I saw DMSO. DMSO – the wonder chemical that big pharmaceutical companies want to suppress (presumably because they can’t patent it). Google it, buy it (it’s available on line) and use it. That’s an order. It really is a wonder chemical with multiple health-giving applications and no adverse effects that I have been able to find. I wonder if the health benefits our grandparents’ generation used to attribute to “sea air” actually exist and can be attributed to trace levels of DMSO produced from oxidation of the the DMS? Does Moore´s law apply to crap as well? Does all that mean it smells like a fart? I’m not a chemist but I do eat a lot of veggies. I would suggest the major source of sulfur dioxide (the REAL cause for concern here) is vulcanism. The sulfides that occur in marine life are primarily the result of the chemical reduction of sulfur dioxide by so-called sulfate-reducing bacteria, a form of marine life that is abundant at the volcanic spreading centers and hot spots that are incredibly abundant on the ocean floors. The Mid-Oceanic ridge alone is an undersea spreading center created by continuing volcanic activity that is about 40,000 miles (64,000 km) in length and wraps around the globe like the seam on a baseball. The sulfides are a more environmentally benign form of sulfur, and the reversion of sulfides to sulfates through oxidation is the fate of only a small portion of the sulfides.